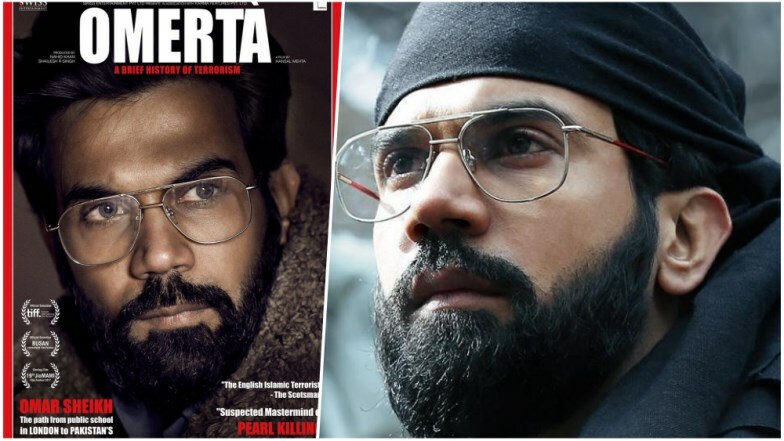 Actor #RajkummarRao who is busy promoting his upcoming flick #Omerta has said that makers of 'Omerta' are not trying to glorify heinous act of terrorists through the film. Rajkummar Rao interacted with media to promote ‘Omerta’ on Friday in Mumbai. When asked Rao what was challenging part to play character of real life terrorist, he said, “To understand this world. I think when you do a film like ‘Newton’ or Bareilly Ki Barfi’ in that, somewhere you have reference that I know a guy like him and I can relate with his honesty that he is showing it onscreen because I have that honesty but when you play a character like Omar, there is no connection. You don’t have that hatred and anger then the challenge is to make it believable for the audience, to be true to its nature and not to glorify it. It was tough to be in that mental state for 3 months for the shoot of the film. Omerta is a biographical crime drama film directed by Hansal Mehta and stars Rajkumar Rao in the role of Ahmed Omar Saeed Sheikh, British terrorist of Pakistani descent. The film explores the 1994 kidnappings of Westerners in India for which Omar was arrested and served time in prison and the plotting of murder of Wall Street journalist Daniel Pearl in 2002. It was screened in the Special Presentations section at the 2017 Toronto International Film Festival, the Mumbai Film Festival and the Florence Film Festival.